We love trying new things, and have the crazy idea that you might like that too. That’s why we offer weekly special. Every week we will offer a new sandwich, salad, and bread, that you can try. We even mix things up for the holidays and try out seasonal recipes that we think you’ll love. Visit us at 85 Foothill Rd. #4 to enjoy your weekly special in our relaxed, family friendly indoor and outdoor dining, or call for your food to go. We’d love to share these new, delicious experiences with you. 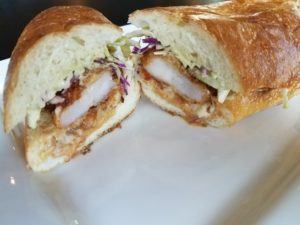 Hand breaded coconut shrimp tossed in a homemade sweet Thai chili sauce and topped with aioli, citrus cabbage, and a drizzle of hot Chinese mustard. 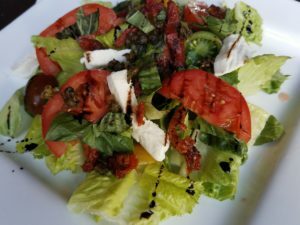 Romaine hearts topped with vine ripened tomatoes, tri color cherry tomatoes, fresh mozzarella, julienne basil, crispy capers, and a balsamic dressing. 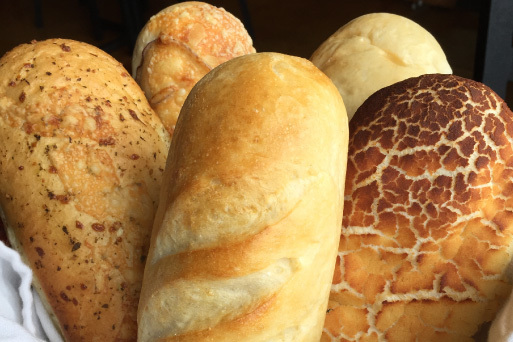 Sweet french, sourdough, dutch crunch, pesto parmesan, swiss onion rolls, buckweat roll, sliced marble rye, 9 grain wheat, gluten-free foccacia, or lettuce wrap.